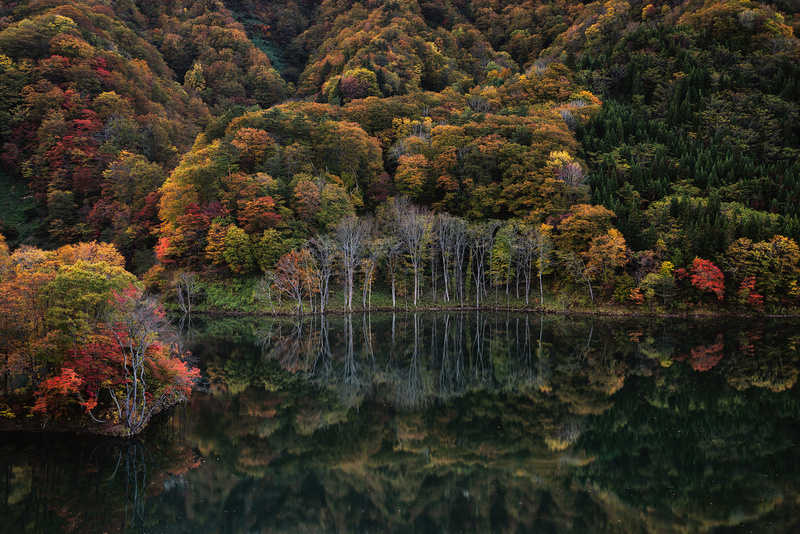 The lake which came by chance was very mysterious, the autumn color reflected on the lake surface was brilliant and beautiful. The detail, clarity, tonality, and sharpness are outstanding! Cracker of a shot mate! Nice to see photos of the autumn colors that were not poorly photoshopped and plastered all over instagram. These tones are fantastic. I think this is one of the best "fall-colors" image I have ever seen. Congratulations to this showstopping image! It's like a beautiful Lady looking at herself in a vanity mirror. Showing off her best look. Very nice. Patience is truly a Virtue. The lighting, the stillness of the water, the perfection of the Fall colors. Everything came together so very well for this photograph. Good job. Great composition and really like reflection and colors!